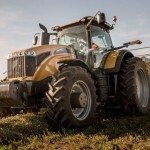 Challenger plans to introduce and display its new MT400D Series mid-range tractors at the 2013 Farm Progress Show in Decatur, Ill., Aug. 27-29. 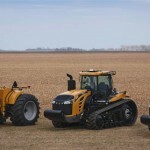 The MT400D Series includes five models – MT455D, MT465D, MT475D, MT485D and MT495D – ranging from 90 to 125 PTO horsepower. 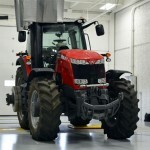 The 4.9-liter AGCO Power engine that powers each model features wet, replaceable cylinder liners and mid supports. The four-cylinder powerplant benefits from an intercooled turbocharger, four valves per cylinder, high-pressure common-rail fuel injection and electronic engine management. Each MT400D also meets Tier 4-interim emissions standards for North America. 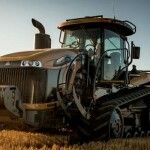 MT400D Series tractors are available with three different. The AutoPower IV transmission provides 16 forward and 16 reverse speeds; the AutoPower VI gives operators 24 forward and 24 reverse speeds; the TechStar continuously variable transmission (CVT) offers operators an infinite number of work and travel speeds without shifting gears. The rear axle for all MT400D models is engineered around a heavy cast steel structure with internal planetary final drives, while its rear differential locks electrohydraulically when things get slippery. 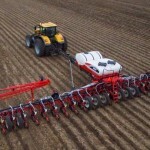 Farmers can select an optional front axle suspension, which is designed to keep the wheels planted on the ground while reducing power hop and wheel slip for greater pulling force and improved efficiency. 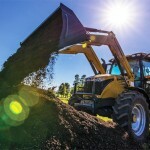 • The Classic Edition has all of the essential options needed, including a standard four-wheel-drive front axle, large six-post cab with rubber isolators, and a standard hydraulic system with mechanically controlled hydraulic valves. • The Deluxe Edition steps up to a suspended four-wheel-drive front axle with TruTrak adjustable-rate steering, mechanical cab suspension, two electronic fingertip hydraulic valves in the armrest and advanced tractor auto-steer-capable electronics with DataTronics. • The Premium Edition offers the best technology, performance and comfort with hydraulic (active) cab suspension, advanced tractor electronics with DataTronics and Auto-Guide installed, four electronic fingertip hydraulic control valves, an automatic HVAC system and power mirrors.